The top BASI coaches Sean Langmuir and Amanda Piri take your piste skiing to the next level. 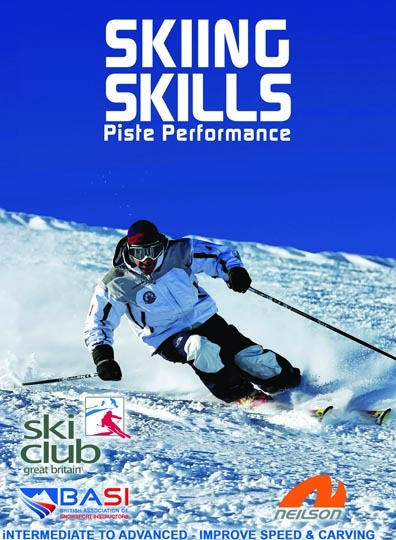 Learning and improving your carving is the main thrust – but they also look at how to blend sliding and carving skills to give you ultimate control in all situations. Screaming round on rails, banked over at 45º to resist the forces; catapulting round the turn and exiting faster than you went in; then looking back to see two perfect knife tracks in the snow – the sensation of carving a ski is just – awesome! The truth is that thanks to modern skis, you can start carving – tracking around on your edges – after just a few weeks skiing. It’s the next level that’s tricky. Why do you lose it the moment you ramp up the speed? How do you take up those extreme angles without skidding out? 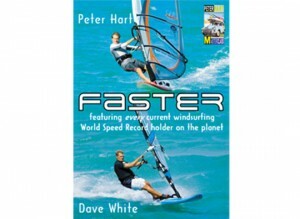 The distinguished team of Peter Hart (presenter and coach), Sean Langmuir (former Olympian and BASI training manager) and Amanda Pirie (former World Cup racer) have the answers. And they don’t focus solely on carving. They also show how to blend carving and skidding to shape your turns, control speed and cope with every eventuality on the piste. 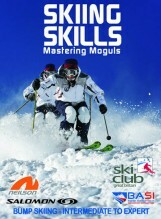 The DVD is packed full of extras including bundles of advice from the Ski Club of Great Britain. Piste Performance was filmed across the Alps by award winning Acrobat TV. The use, for the first time, of a high speed, 1000 frame per second, camera produces breath-taking action sequences and reveals hitherto unseen details.